Front Button Fastening and Frill Trim. Black Lace Overlay Blouse. Pretty Lace Over Blouse. Spagetti Strap Black Under Vest. V Neck With Cap Sleeves. ZARA Black Tie Front Top Size Small. Condition is Used. Perfect for spring! Have only worn once or twice. Still in very good condition. Coming from a smoke free home. Dispatched with Royal Mail 1st Class. Topshop Black Wrap Over Blouse Top Size 12. Condition is Used. Dispatched with Royal Mail 2nd Class. ORGANZA STYLE BLACK WITH RUFFLE FRONT. NEXT BLACK LACE CORSET FITTED TOP BLOUSE SIZE 10. Condition is Used. Dispatched with Royal Mail 2nd Class. 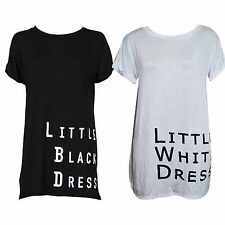 Ladies wallis top size 12 black with white dots. Condition is Used. Dispatched with Royal Mail 2nd Class. Poem By Oliver Bonas Floral Black Top Size 12. Condition is Used. Dispatched with Royal Mail 1st Class...worn once. Small button keyhole back..
LOVELY CHEROKEE 100% COTTON BLACK/WHITE FINE CANDY STRIPE BUTTON FRONT SHIRT. CAP SLEEVE TIE BACK. PATCH POCKETS TO CHEST. SIZE 16. Machine washable. GRAB A BARGAIN! Having a big sort out as too many clothes! FROM SMOKE AND PET FREE HOME. UK AND PAYPAL BUYERS ONLY PLEASE. PLEASE PAY WITHIN TWO WORKING DAYS OF END OF AUCTION. ITEMS POSTED 2ND CLASS WITH PROOF OF POSTAGE. PLEASE SEE MY OTHER AUCTIONS. COMBINED POSTAGE DISCOUNT AVAILABLE UPON REQUEST. SORRY NO REFUNDS. ANY QUESTIONS PLEASE EMAIL ME. HAPPY BIDDING! Ladies black French Connection top/blouse. Size 12. Ladies black French Connection top/blouse. Size 12. Looks good with black jeans Condition is Used. Dispatched with Royal Mail 2nd Class. Next Sheer Ladies/Girls Blouse 12. Condition is Used. Dispatched with Royal Mail 2nd Class. ALL my items are sold for animal welfare and cruelty charities and are all donated. Thank you for viewing All my items. Condition is Used. Slightly raised at the front for a relaxed floaty style. By Urban Bliss Size 16. FRILLED CAP SLEEVES. YOKE IS MADE OF ORGANZA. BLACK TOP WITH EMBROIDERED FLORAL YOKE. REST OF BLOUSE IS BLACK POLYESTER. BLOUSE IS FASTENED AT BACK AT TOP OF SMALL SLIT WITH SMALL GOLD BUTTON AND LOOP. 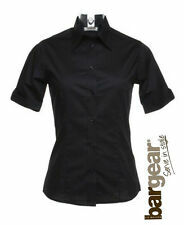 Ladies Sheer Blouse top in Black Size 16. Worn once in Excellent Condition. Dorothy Perkins Ladies Black Sequins Cap Sleeve Blouse Top Size 16 / 44. Condition is Used. Dispatched with Royal Mail 2nd Class. Ladies Plus Size 24 Yours Black Top With Spot Patternrond Necknew. Dispatched with Royal Mail Signed For® 2nd Class. 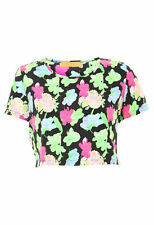 TED BAKER PRIDDYY Tropical Black Floral Jersey Boxy T Shirt Top Size 3 / UK 12. Condition is Used. Dispatched with Royal Mail Signed For® 1st Class Large Letter.